If you want to download FireFox 4 before the official announcement, access the Mozilla releases FTP server ftp://releases.mozilla.org/pub/mozilla.org/firefox/releases/4.0/. The official announcement should happen today. I use Google Chrome as my main internet browser and after some initial tests with Firefox 4 I will keep using Chrome. FireFox still not good as Chrome when we compare resources and memory management. A simple test shows the difference, while Google Chrome uses only 180MB for 7 opened web sites, FireFox uses 250MB for the first 3 web sites I opened. If you starting using during several hours it will requires more resources, these resource will be released in most case when you close the web site (tab), another area where Chrome handle much better when and how to release the resources. FireFox it is faster than it once was. It is better than it once was. It has many new and useful features. But, it’s in a dead-heat with the other browsers when it comes to speed. All of my initial testes was using the Mac version of both browsers. I have already installed Internet Explorer 9 and used in some situations. I expected to publish a review soon. I am agree. Chrome uses more efficiently the machine resources than Mozilla Firefox. But in this moment FF has more than 30% of browser quota market. I have 5 tabs open and numerous add-ons running. Memory usage is 294MB. I’ve stopped using FireFox with Pandora because of its resources hogging. I use exclusively Chrome for that. Long time ago I started using Firefox because it was faster than IE 6. And it was advertised with beeing fast. 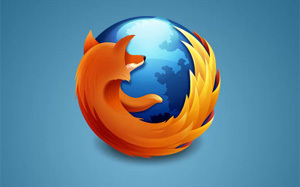 Now Firefox 4 is far better than Firefox 3 and I use it sometimes. But IE 9 ist much better at the moment. Even Chrome is not so responsive. Though I use Chrome most of the time. Because I used it for quite a long time now and because I use the sync feature for addons and settings. I tried Chrome. Didn’t like the address bar. Actually found it quite annoying. I prefer firefox smart address bar. Also I find Chrome to be overly compact. I can see why on a small screen like a web pad it is nice, but I plenty of real estate on my regular monitor, so it’s not a problem.